Son V. Nghiem, a member of NASA’s Jet Propulsion Laboratory at Cal Tech, shows the audience maps derived from satellite data. In a sky-blue to deep red gradient, he maps the horizontal expansion and vertical build-up of the world’s largest megacities. The celerity of urbanization is an irrefutable process, and being able to visualize this process in time and space allows us to comprehend its causes, trends, and implications. Echoing Marsha’s words, Son proceeds to demonstrate with crisp infographics how maps built with data collected in space have helped governments strategically reduce the risk of wildfires in California, improve air quality in Beijing, reduce the incidence of vector-borne diseases in eastern India, and reduce groundwater contamination in northern Italy. Satellites are powerful tools to create change-inducing visuals. 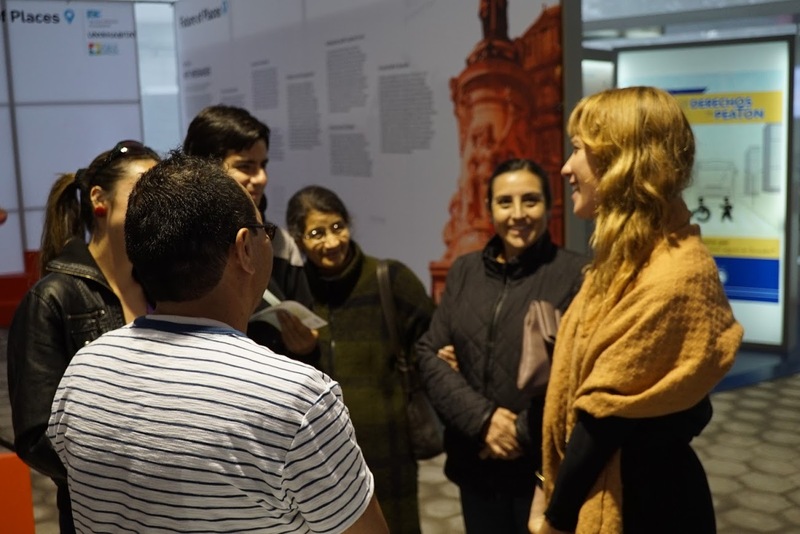 Sydney describes her experience in Medellin, where a team formed by Ecocity Builders, the Colombian National University, and a group of community members, measured resource flows in the Comuna 8 neighborhood, discovering the exact composition of the neighborhood’s waste generation. Through participatory data collection and analysis, the community was able to understand the neighborhood’s resource flows and to work with the local government to plan and implement better waste management policies. So how to find balance between the polished magic of satellites and the street knowledge of a neighborhood’s inhabitants – those who know all the uncovered manhole covers, political graffiti, hole-in-the-wall pork joints, and burned out streetlamps of a grimy district? Ashoka Finley, Strategic Advisor for Ecocity Builders, notes that a successful approach to data collection, analysis, and dissemination depends on it being bidirectional: a repeated interaction of provision and revision between governments and users, a collaboration in which the top provides its expertise, resources, and guidance and the grassroots provides its ideas, feedback, and experience. An image is worth a thousand words, and the words of a thousand people will shape the finest, most influential images. 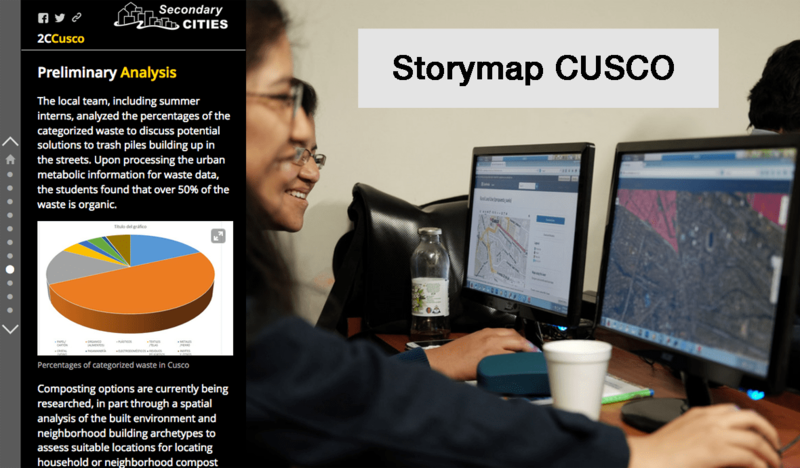 Combining visual tools and people power with Secondary Cities Storymap of Cusco. Son is talking to us from Saigon. Through a screen. He moves from slide to slide showing us maps taken by NASA’s satellites and analyzed by his team to understand the rural-to-urban transformation – a transition in the screen from blue to green to yellow to orange to clusters of deep red. These are the world’s new megacities, and visualizing them using GIS technologies and methods allows policymakers to effect change. Son begins in California mapping the dryness of vegetation around major cities. Deep red areas show the places where the risk of wildfires is greater, and thus the places where prevention measures should be stricter. We move on to tracking Saigon’s lateral expansion and vertical build-up over time, and then do the same for Beijing. Between 2000 and 2009, Beijing grew by a factor of four, and the annual change, as seen from space, reveals the impact of economic and political change on the rate of urbanization: expansion fell drastically in 2006 following a growth-reduction policy and grew significantly in 2008, the year of the Olympics. Son then shows us a breakdown of the city’s air pollution as measured in parts per million of atmospheric nitrogen dioxide. Despite the growth spurt, air pollution fell in 2008 as a result of temporary air quality measures during the year of the Olympics. Son moves on to Shanghai, northern Italy, and east India to show the versatility of his approach. 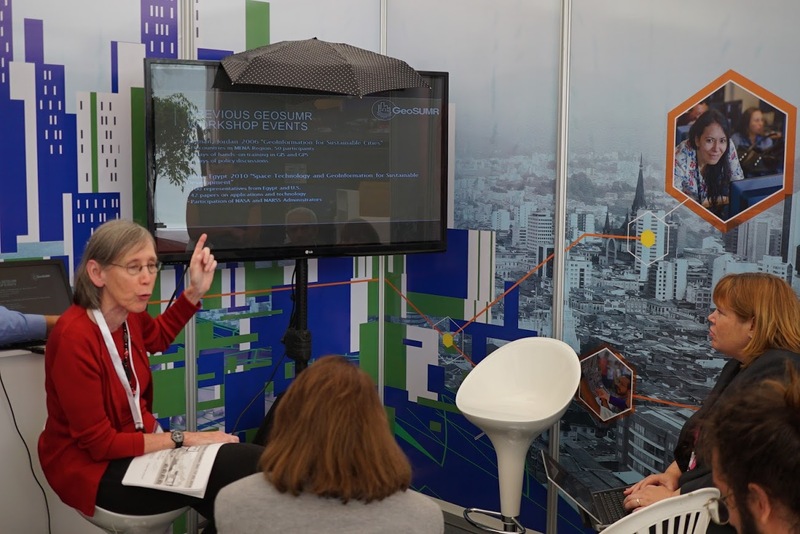 The message is clear: the world is becoming more and more urbanized, and with urbanization come serious social, health, and environmental concerns, all of which can be mapped and analyzed from space. The infographics that result from analyzing those satellite images are an essential tool for policymakers to overcome some of the greatest challenges of our urban future. Shanta begins with a blunt statement, “urbanization has destroyed the social fabric of Katmandu Valley.” He then shares the story of Katmandu Walks, an initiative organized by the community to increase the freedom of walking in Katmandu as a way to rebuild the city’s social fabric. Following a series of community meetings to discuss pollution and road accidents, a radio campaign began to raise awareness about the issues of motorized mobility and the benefits of walking. Soon after, Katmandu’s local government, traffic police, and several grassroots organizations inaugurated the first “KTM Walks,” shutting off roads for pedestrians to view their city in a new, almost forgotten way: walking together. Top down interventions have often failed to curb the social, economic, and environmental issues arising from urbanization and deindustrialization. Ashoka notes that we need more participatory ways to plan cities and that technology, citizen awareness, a culture of participation, transparency in the use of resources, and access to information are essential to achieve this goal. 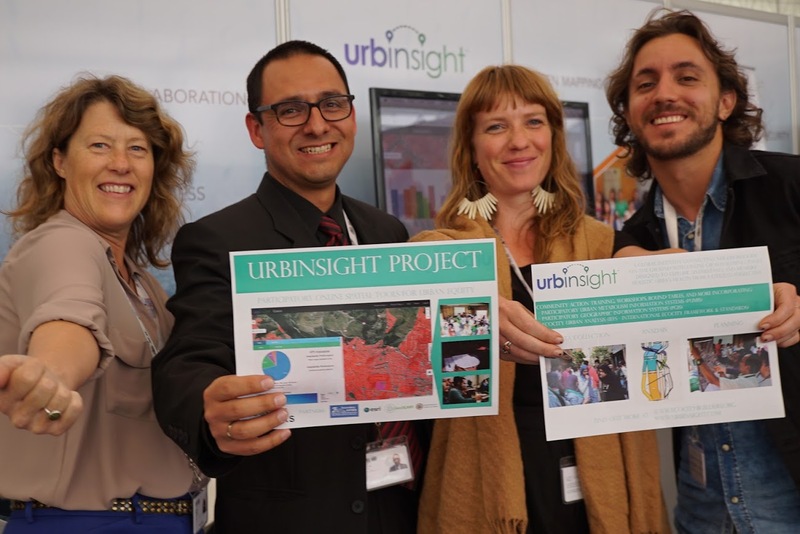 He then explains the idea behind Urbinsight, a platform to bridge the top-down, bottom-up gap in order to engage the community and facilitate the decision-making process of local governments. After training community members on the use of advanced GIS programs, a local team collects and uploads parcel-level data to an open-source platform. After analyzing this information and visualizing it in maps showing the city’s urban metabolism – its use of resources and their spatial arrangement and transformation over time – local authorities can make decisions with the community regarding which issues they should prioritize and how they can overcome these specific issues more effectively. 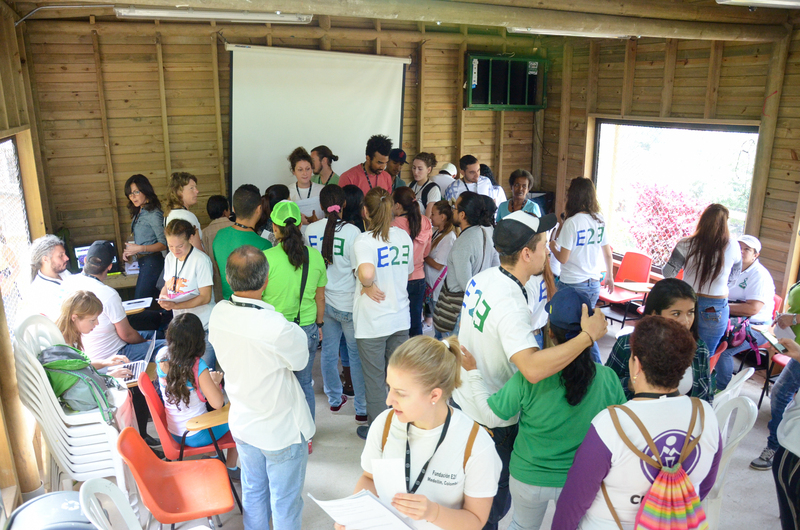 The platform has already been used in neighborhoods in Casa Blanca, Cairo, Cusco, and Medellin to help each community identify and solve their greatest challenges, including access to potable water, waste management, and mobility.